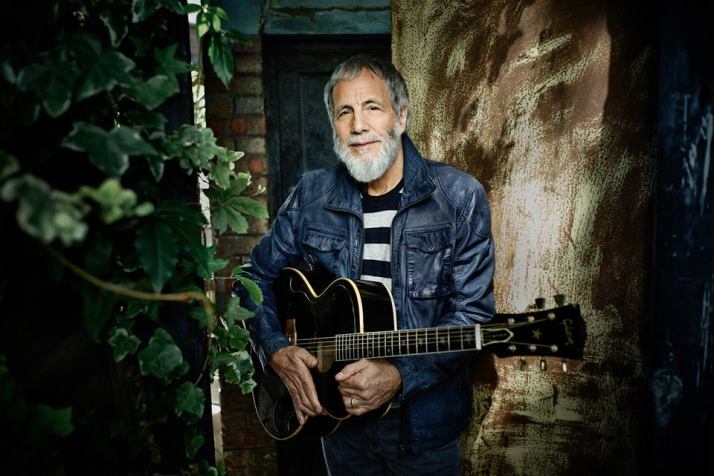 Home Reviews Concert Reviews Yusuf/Cat Stevens Returns to L.A.
Yusuf/Cat Stevens Returns to L.A. It was a revelation to see – and to hear – Cat Stevens, aka Yusuf – during the last night of his brief five concert tour through America, for many reasons, but the biggest is that he’s still with us. After his conversion to Islam and retirement from music, and subsequent political statements, it seemed we’d never see him as the artist we loved for decades. Like so many of his peers, be it Jim Croce, Dan Fogelberg, or John Lennon, it seemed he was lost to us forever. In 1979, he left the world stage, just before John Lennon was killed, and the world changed forever. And although he put down his guitar completely for decades, he returned with gentle and focused triumph, seeming to connect smoothly with the peaceful and soulful textures of his beautiful songs. The entire night rang as a testament to the power of song. Though some Americans turned on Cat for his allegiance to Islam, on this night there was nothing but love for this man who brought us such powerful work. And the songs sounded as great as ever, and as timelessly inspirational. Whereas other work hard to achieve the artifice of spectacle, he turned inward, away from anything contrived or false, and sang from a pure and poignant heart. Against a beautiful backdrop of an old train depot, behind which was an old English home and windmill, and shifting colors of the sky, he sang a collection of covers, some new songs from his most recent album, and many of his most famous songs. Dressed in dark shades with a striped shirt and vest, matching his entire band also in stripes, he shared an emotional and genuinely collective experience with the sold-out Angeleno crowd by having the house lights turned up after every song, so that he could see us as well as we could see him. And we were smiling. The crowd was imbued with a joyful wonder all night, a pleasure to behold. Rarely have I seen so many strangers smiling and communing, just in love with the idea that this guy we adored so and thought was gone forever had returned. Yet he comes across as a man at peace, and sang with a tender sweetness and authority all night as he led us through the hits as well as the beloved non-hit classics, such as “Father and Son,” one of the most stunning moments of the night. When he saluted the giant crowd of hometown angels, he said we do have angels in our world, our children, and “we need to create a space for them.” With that he launched into the great “Where Do The Children Play?” – its famously bright D-major acoustic guitar shimmer perfectly projected by his old bandmate from the start, Alun Davies. For the visceral delivery and power of this song alone, the night was worth the price of admission. And no small price. Many in the crowd told me of the small fortunes they invested to be among the lucky ones to witness his heralded return. But happy to do so. Thrilled, in fact, not to miss this moment. Although he did 15 stops around the world on this tour, only five were in America. Problems with his New York date caused him to cancel it completely, and add, instead, Philadelphia. Recognizing people had come from near and far – even beyond the vast confines of this giant city – he joked by saying, “So, all of you are from L.A.?” The crowd roared as he acknowledged how far some had come. But none as far as him. He shared funny bits of his personal history, including the news that his song, “Father and Son” was the first mp3 ever, this great creator of classic albums ushering in the digital age. “You owe me, iTunes,” he laughed. His gentle humanity shone throughout the night, and especially when, after introducing his wonderful six-piece band, he took the time to thank his roadie – who even got to bow! – and the guy on lights. Who does that? He also mentioned suffering from a “strange, medieval disease called TB” before doing the song that arose from that crisis, the early gem “Trouble.” He added a whole new groove to the unexpected “Bitterblue” that rocked, and brought us an impassioned and very touching, “Oh Very Young,” which shone. He delivered several charged blues from his new album, Tell ‘Em I’m Gone, including Jimmy Reed’s great “Big Boss Man,” which showed the passion in his range, and his soulful cunning with a lyric. Riffing off of Mose Alison’s famous reworking on “You Are My Sunshine,” he turned that Americana gem it into a bright blues stomp, with some nifty passing chords worked into the mix. “We’re all here to learn,” he advised. “Yet some of us aren’t learning.” His band, however, learned well how to color these songs without overwhelming, bringing us one of the most refined and elegantly defined rock shows in recent memory. At the end of a beautiful night that consisted of two sets with a long intermission, in the encore he finally brought what everyone was waiting for , the great song “Peace Train,” which he sang and led the crowd in singing, and united this big hall with inspiration and hope rarely felt in these modern times.